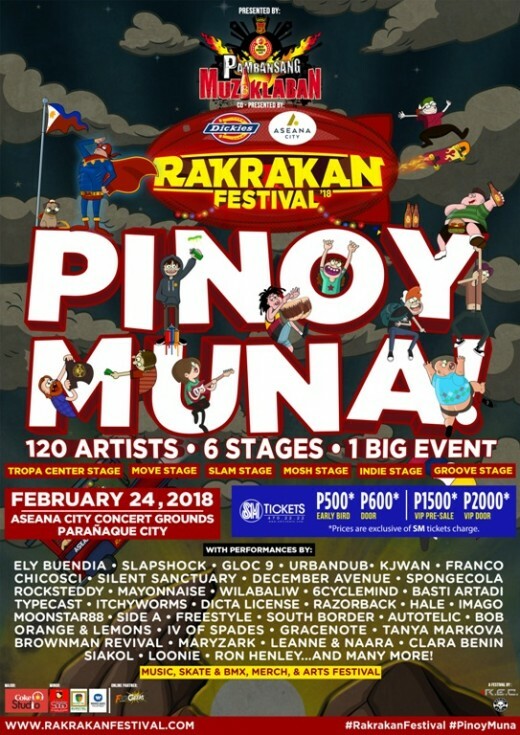 We are only a few days away from the biggest gathering of OPM acts in one concert venue at RAKRAKAN FESTIVAL 2018: Pinoy Muna. The music festival would comprise of 5 stages with 120 artists performing. Regardless of your musical preference, surely there’ll be a stage that would satisy your musical taste. This is a gathering of the country’s finest, headline by a number of household names like Ely Buendia, Silent Sanctuary, Slapshock, Urbandub, Hale, and Chicosci to name a few. This year, Rakrakan Festival is also branching out to the Hip-Hop/RnB genre at the Tropa Center Stage, with performances from Gloc 9, Dash Calzado, South Border, Loonie, Ron Henley and others. The FlipGeeks Fam has once again been invited to be part of this year’s festivities as one of Rakrakan Festival’s online community partners. We’ll be sharing with you what’s going on at the event so be sure to check our social media pages. 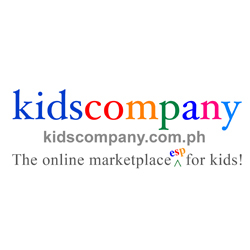 We look forward to partying with you on February 24, 2018 at the Aseana City Concert Grounds in Parañaque City. 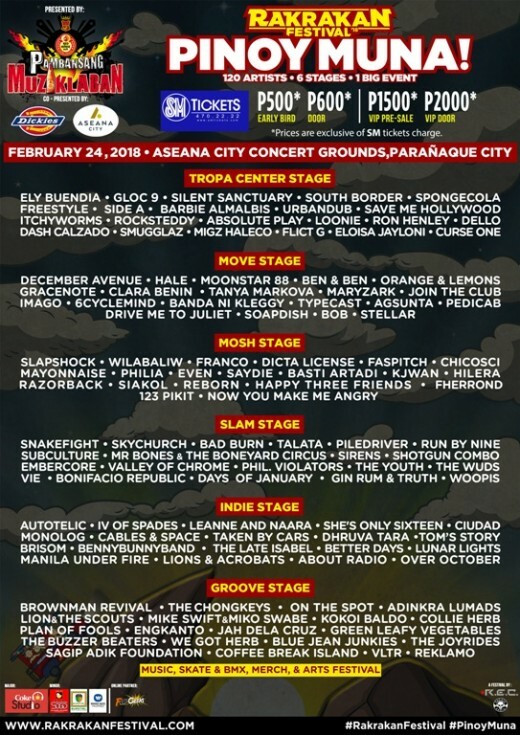 You can check the full list of performers at their respective stages below. Tickets are still available at all SM Tickets outlets nationwide! Early-bird tickets are sold at Php 500 and VIPs at Php 1,500 (excluding SM Tickets charges) for limited slots only; door prices are at Php 600 and Php 2,000, respectively.